We have just joined Twitter! Follow us on Twitter and receive up to 10 pieces total for free. Tell us your Twitter ID when you are making your appointment on the phone. We will be announcing big discounts on Twitter in the future! R’s Eyelash Design offers the latest and safest extension techniques from Japan, applying our synthetic silk extensions-one by one to natural lashes to meet the various needs of our clients. R’s Eyelash Design promotes hair restoration treatments to keep natural lashes growing continuously and to maintain healthy conditions of original eyelashes so an enhanced look can be enjoyed. All of our products such as the glue, eyelash extensions, and equipment used in the process are of high quality and safety to offer you a worry-free and enjoyable experience. 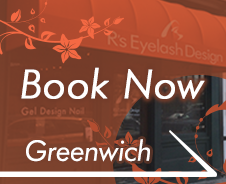 We are an eyelash extension salon that sets focus onto the care of your natural eyelash! We believe that to enjoy eyelash extensions for a long time, it is important to keep our eyelash clean, strong and healthy. The long lasting extension isn’t always the“good extension.” Keeping your natural eyelashes strong and healthy is the major key in keeping your extensions for a long time. 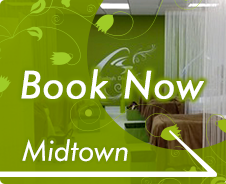 Gift Certificate is available for purchase during our normal business hours at salon. It will be the perfect beauty gift for your friends, family and co-workers. You may choose the amount based on our menu price. R’s Eyelash Design is located at 18 E 48th St suite 1106 New York, NY 10017 by phone at 212-804-6227. ＊	Please call us at least 24 hours in advance for in-store purchase and pick-up. 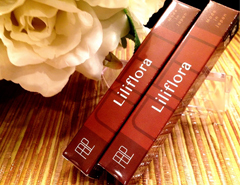 R's original eyelash enhancing serum is "Liliflora" now on sale!! It will support your lashes healthier, thicker and longer!! Healthy lashes will let your extensions beautifully stay on your natural lashes for a long time! 4/2017　Rye location have changed since April 3rd to 21 Purdy Ave. Please call 914-481-4013 for making an appointment. 3/2016　Midtown location have changed since March 1st, to same building but different floor. We are now locating on the 12th floor, suite# 1203! 10/2014　Rye location have changed since October 14 to same building but different unit. We are now locating right next to Arcade Booksellers facing Purchase Street! 5/2014　We have extended our new client promo from 5/31 to 6/30! 5/2014　We have added a new menu: Hair-restoration treatment $29~ We recommend you to have restoration treatment with the eyelash extensions. Please contact salon for details. 3/2014　Receive $10 discount (expires May 31st) for new customer. Use this promotion with your first new set of extensions from us (exclude adding onto extensions from other salons). Cannot be combined with other promotions. Valid in NY salons only. 3/2014　We have just joined Twitter! Follow us on Twitter and receive up to 10 pieces total for free (with your new set of extensions from us)!! Tell us your twitter ID when making your appointment on the phone. Please be informed that, we will be closed between Dec 31, 2013-January 2, 2014 for the holiday. All inquires made during this period will receive our reply after January 3, 2014. 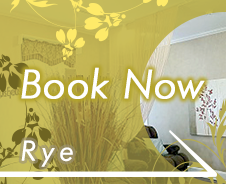 08/2013　Since our appointments fill up really fast, we recommend you to make your appointment as early as possible. 04/2012 Professional Japanese Eyelash Extension Products Now Available on our Online Shop! 08/2011　We have started special new menues for "Touch-Up." *You could use those services each 2 times only. In your third visit, removal with old lashes will be FREE! We will create more new menues for our clients from now on, please looking forward to hearing from us!!! 08/2011　We proudly announce that it's already passed a month since we opened our new store, "R's eyelash design." We greatly appreciate your visiting and trying our services! However, we apologize that it's occasionally difficult to make an appointment. Therefore, we would like to try providing the relaxed space as well as innovated techniques for all our clients.